Riverside Lodge, is a stunningly converted Edwardian coach house situated directly opposite Alnmouth bay with the beach no more than a 20 metre (1 minute) walk. Private parking is available for 1 car with further parking available on the road side. Riverside Lodge comprises: Ground floor bedroom with twin beds (can be linked to form double) and ensuite shower room; first floor double bedroom with ensuite bathroom ; open plan living area including kitchen and dining area - living room has incredible views directly over Alnmouth bay. The Lodge is extremely family friendly and many items provided including free WiFi (Infiniti high speed), DVD's and games. 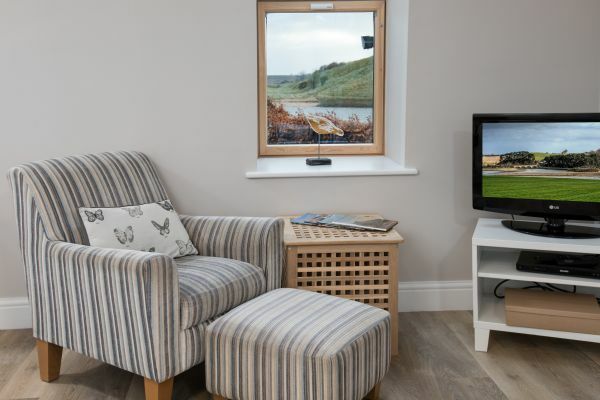 Ideally situated opposite the beach yet in the heart of Alnmouth village, Riverside Lodge is the perfect retreat for those looking for a relaxing get away with easy access to the beach and Northumbrian coast line. 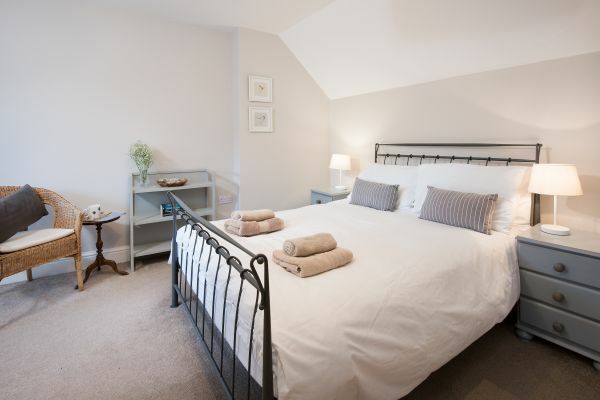 Riverside lodge is within walking distance of all the village amenities in Alnmouth: several pubs, restaurants, a village grocer, Art Gallery and gift shop and post office. For golfers there is a 9 hole links course in the village, famous for being the oldest in England, as well as an 18 hole championship course at Alnmouth (Foxton Hall). Have stayed here twice and I can’t say enough kind things about this place. Beautifully decorated, incredible location (just steps from the beach), comfortable beds and decent knifes!!! (one of my biggest bug bares with holiday rentals). Great communication with hosts and dog friendly too. Highly recommended - we’ll be back next summer! 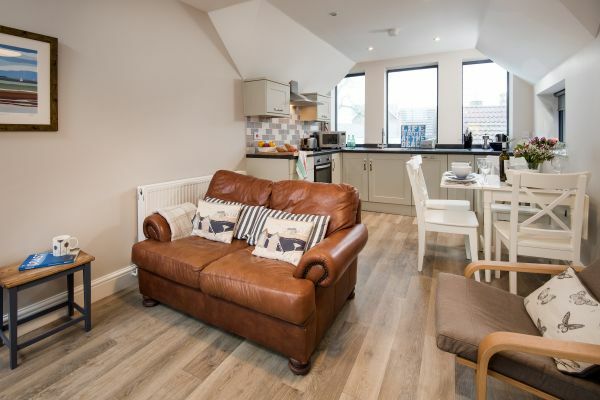 Lovely, well equipped, clean and comfortable accommodation very close to the beach and the charming village of Alnmouth. We have stayed several times with our family and will be back. Private parking right outside is a real bonus. Love it! I have been taking my family to this beautiful spot on the Northumbrian coast for over 20 years on pretty much an annual basis. We are absolutely thrilled to have discovered ‘Riverside Lodge’ and it has proved to be an idyllic bolt hole for our family of four, so much so this was our 3rd stay here! 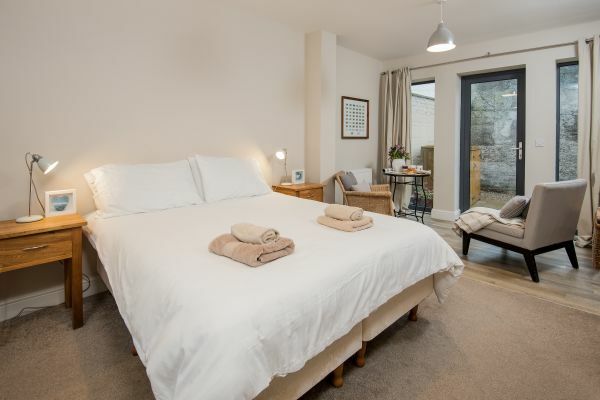 The accommodation itself is a beautifully converted former coach house tucked away just a stones throw from the beach. The facilities are fabulous and the cottage owners really have thought through the needs of a holidaying family. 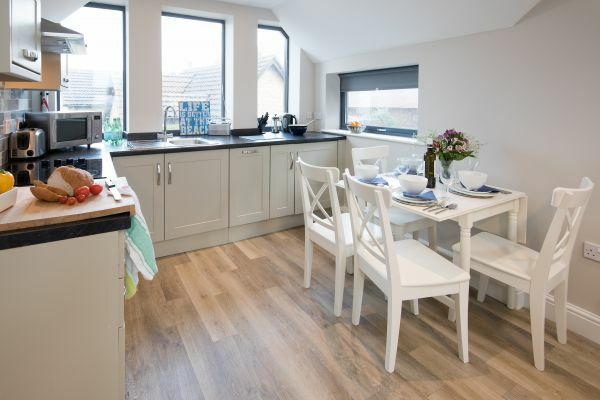 The cottage is on two levels, the open plan sitting room is on the 1st floor providing fantastic views of the seaside. 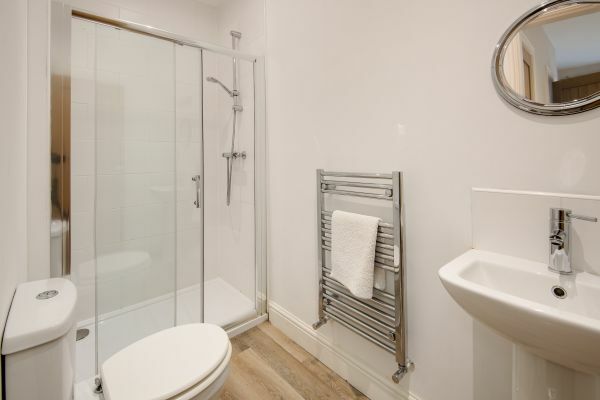 There is also a master bed and bathroom and a further bedroom/ seating area and en suite at ground floor. The cottage has its own designated parking too which we feel is a huge bonus in this popular holiday village. We will be back for another stay in the near future! 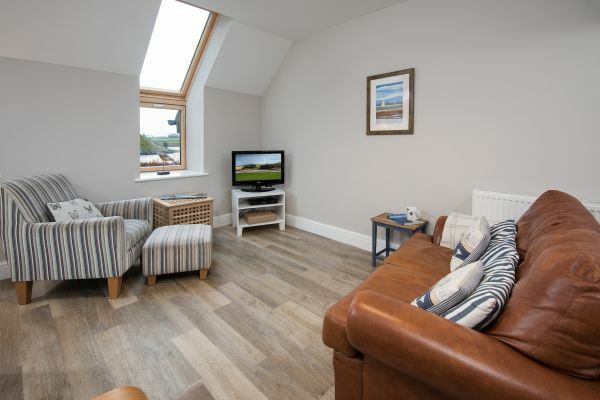 This twin level renovated lodge house is in a lovely position right next to Alnmouth beach and a stroll from the main village, two really nice double ensuite rooms along with lounge area and well appointed dining kitchen. Great views from the lounge window across the river estuary to the dunes and beach, easy parking and access into the property....would definitely recommend.